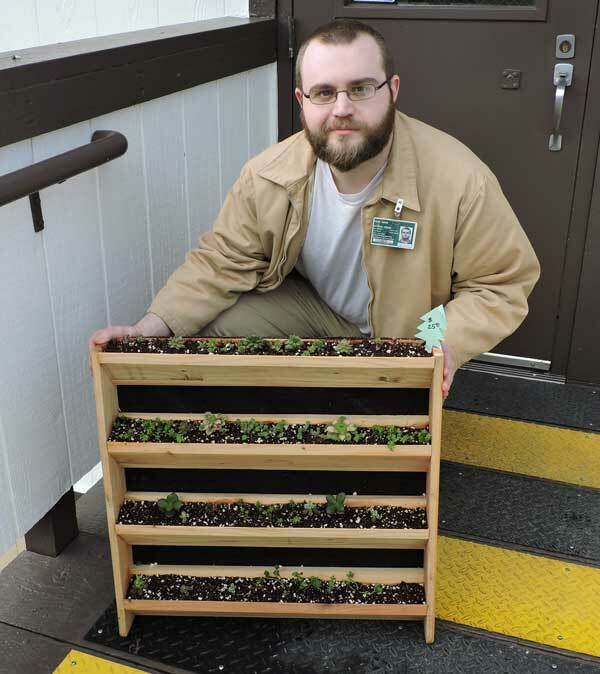 FORKS – At Olympic Corrections Center (OCC) in Forks, Washington, incarcerated individuals are learning about sustainable horticulture. Currently there are 18 students enrolled through education classes offered by Peninsula College. Students can earn up to 40 college credits over two quarters of classes. The subjects range from soil science, botany, plant identification, propagation, and current day food systems. In addition to academic classroom time, students receive hands-on experience managing and operating a 4000 square foot greenhouse. Greenhouse operations include various methods of propagating plants, pest and disease control, and landscape design. 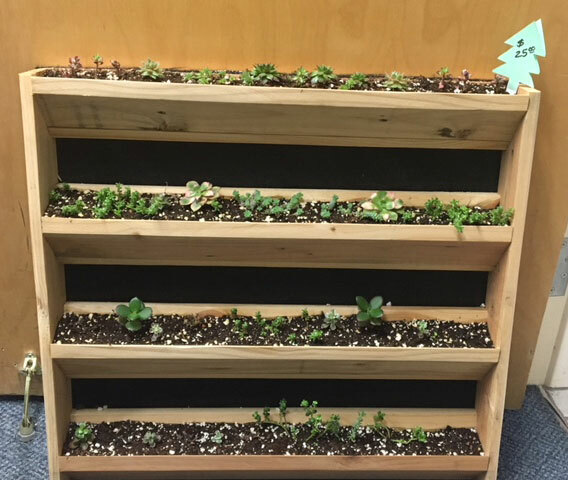 The students create living walls, hyper tufa pots, and bedding plants for sale to OCC staff and the occasional farmers market. 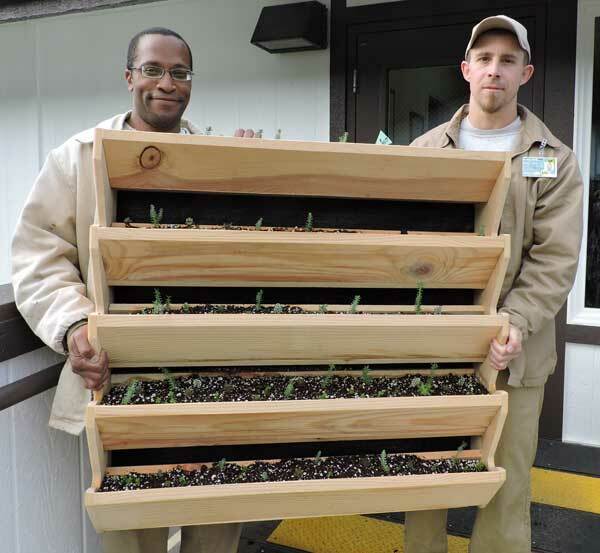 Proceeds from the horticulture sales are invested back into the program to cover costs and enhance the program. “It is rewarding to see students learn and gain experience in a field they knew very little about. They are learning the environmental impacts of current agriculture systems in relation to the food they are growing. 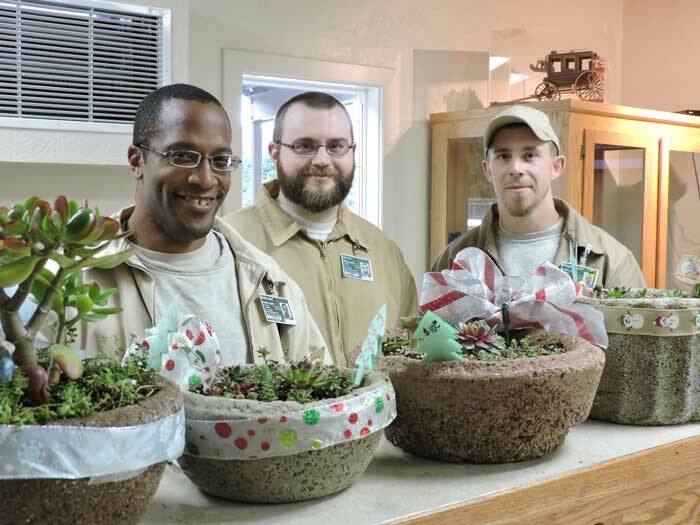 This opportunity expands their global perspective and further enhances their skills for a successful community transition” states Sandra Diimmel, Corrections Education Director for Peninsula College at Olympic Corrections Center. Corrections education and vocational training enhances public safety by allowing students to earn certificates, diplomas, and degrees. Inmates who receive such opportunities are significantly less likely to return to prison after release and are more likely to find employment than peers who do not receive educational opportunities, according to a new RAND Corporation report.